Congressman Greg Gianforte has a track record as a businessman and entrepreneur, having launched and operated five successful companies. Greg and his wife Susan founded RightNow Technologies, a cloud-based software provider, in their Montana home. The company grew into Bozeman’s largest commercial employer, creating over 500 high-paying jobs. Greg continues to mentor aspiring entrepreneurs across the state. Congressman Gianforte is focused on being a strong voice for Montana and bringing accountability to Washington. Greg supports enacting term limits, banning members of Congress from becoming lobbyists, and requiring members of Congress to balance the budget or not get paid. He is focused on regulatory reforms and overhauling the federal tax code to grow our economy, create Montana jobs, and increase wages for hard-working Montana families. Greg and Susan raised their family in Bozeman and continue to live there. 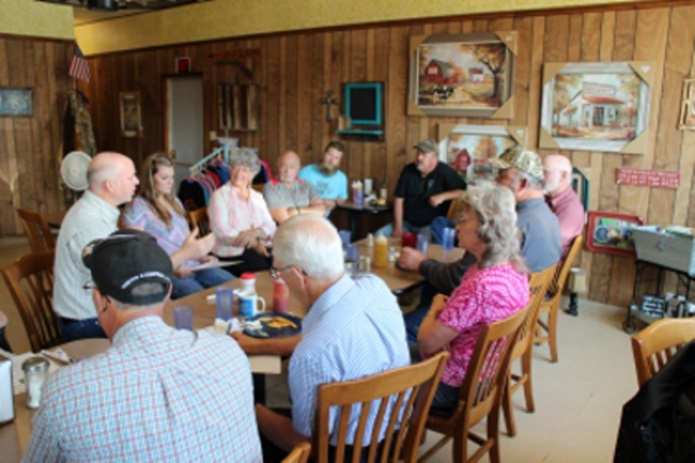 Greg travels to every corner of the state to meet with constituents as well as community and business leaders.